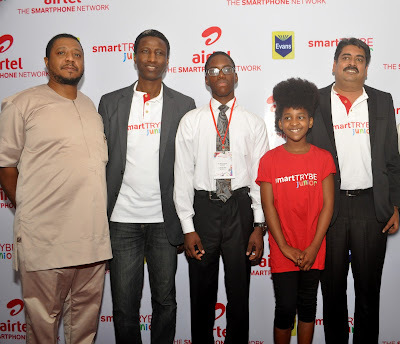 Leading telecommunications service provider, Airtel Nigeria, has launched a mobile education platform, which is aimed at enhancing the learning experience of children in the age bracket of five to sixteen across Nigeria. The learning tool which is branded Airtel SmartTrybe Junior, integrates three of the major aspects of education: audio visual, textbooks and test, to deliver more than 120 courses to pupils and students in Primary 1 to Senior Secondary School 3. The tool offers a 3D interactive multimedia based learning environment designed to help students achieve deeper understanding and higher retention. It also features highly engaging animations of laboratory experiments and lecture notes, classroom approved textbooks and an in-depth compilation of key points and definitions presented as quick study Flash Cards. In addition, Airtel Smart Trybe Junior enables users access to pre-loaded eBooks, which are exclusively developed for Airtel by the renowned Evans publishers and all the courses are based on the current academic curriculum in Nigerian schools. The study materials are developed in compliance with the Federal Ministry of Education and adapted for pupils and students in the West African sub-region, especially Nigeria. Speaking on the product, the Chief Commercial Officer, Airtel Nigeria, Mr. Ahmed Mokhles, explained that Airtel Smart Trybe Junior is part of the company’s contribution towards the development of Nigerian educational sector and also to provide empowerment opportunities for children in the primary and secondary schools. Some of the features include a continuous assessment component that allows students test their understanding of topics on a chapter by chapter basis as well as the Exam Prep component which helps students prepare for promotional exams at every level; Common Entrance, Junior Secondary School Certificate Examination (JSSCE), O-Levels and Unified Tertiary Matriculation Examination (UTME).  Airtel SmartTrybe Junior comes with exciting parent-child offers. The kids enjoy free calls and SMS to Mum & Dad from kid’s line. In addition to this, 10 per cent bonus airtime is transferred to kid’s line every time the parents recharge. It also offers tariff as low as 20k/sec for Airtel to Airtel calls and 30k/ sec to other network, however, the first one minute call is charged at 40k/sec. The learning tool is available on regular prepaid SIMs by simply dialing *317# and it works on any android tab or smartphone device. The Smart Trybe Junior tabs are available for purchase from any Airtel shops nationwide.